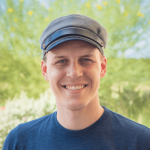 Boundless Connections Marketing Founder and “Chief Connector” Shaun Penrod draws upon his military career, technical know-how, and love of all things entrepreneurial to help his clients leverage the power of membership sites. Shaun Penrod, founder of Boundless Connections Marketing, pulls from his decade of experience managing mission-critical projects for the US Navy, as well as his own ventures into the world of entrepreneurship, to help membership site owners apply the ASK Method™ to their businesses. The results include a comprehensive understanding of their members, which enables them to create segmented, effective funnels to grow their memberships quickly. After graduating from BYU with a degree in business and entrepreneurship, Shaun honed his project management and team leadership skills as a Naval officer. “I managed the big picture, the workflow,” he explains. Setting priorities and deadlines, and then translating those to a tactical level for his team became second nature. He continues to call upon that skill base with his clients. Shaun’s clients also benefit from his own entrepreneurial efforts and experiments, including podcasting, email list building, product creation, and more. He launched and maintained his own “side hustle” business while in the Navy, testing many of the strategies he’d learned in school and through research and courses. “That’s where I practiced the ASK Method for the first time,” he says. Shaun’s ASK Method-based strategies have proven themselves for his clients. One client saw 110% return on investment for his membership site in a matter of months after Shaun implemented the ASK Method on his behalf. What’s more, since membership revenues are recurring month after month, he’ll continue to benefit far into the future. “It’s just going to grow from there,” explains Shaun. Shaun has a unique ability to combine big-picture thinking with in-the-trenches tactics to both create and implement powerful marketing strategies for his clients. When working with membership site owners, Shaun starts by understanding what they want to accomplish. “Everybody comes into business for different reasons,” he says. “My clients are in business for their own reasons, their own goals.” Once he understands that overall motivation, he’s better able to craft solutions that provide their personal “success” for them. Shaun’s superpower is tracking all the disparate pieces of a plan, and putting them together in a cohesive fashion. Not only can he lay out the 3,000-foot overview, he also has the know-how to roll up his sleeves and overcome even the grittiest of technical integrations. That’s fantastic news to business owners who can be overwhelmed by details. “The technical grunt work, I’m really comfortable with it,” Shaun says. Shaun particularly enjoys applying the ASK Method works with established membership sites that are already launched and poised for growth. “They really want to understand their members better and then expand, double their user base,” he says. Once Shaun’s used the ASK Method to segment the members, he designs custom funnels for each audience segment. And then the beauty of the ASK Method takes over. “I love that it works,” he says. “I love seeing the email list grow, the revenue coming in.” Even then, the process isn’t yet over, as Shaun continues to optimize and tweak the funnels, making small changes to get the absolute best results. If you have a proven concept for your membership site, and you’re ready to explode your business, get in touch with Shaun. He can help set the vision for your growth, break down the vision into actionable pieces, and then ensure that each and every piece of that plan fits right where it’s supposed to. Work with Shaun Penrod ?